Director Partho Sen-Gupta talks about the oneirophrenic space, a space that is both hallucinatory and metaphysical, realised in his latest film Sunrise with an audio-visual clarity, hauntingly rendering grief as eternal. I can’t remember the last time I saw a film that used rain with such cinematic dexterity, enveloping the screen as not only an elemental motif, but also articulating apocryphal convulsions, pointing to a depravity with which no one can contest. 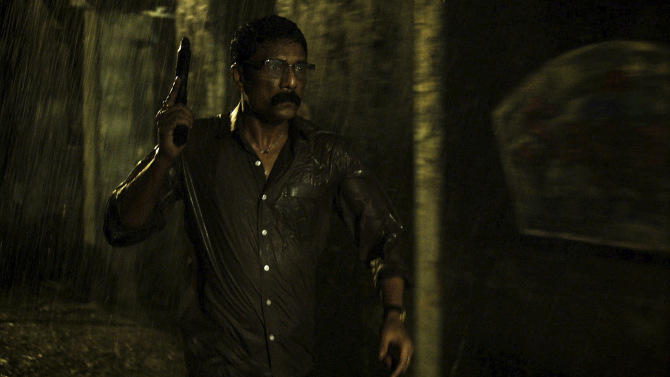 The rain, a conjectural metonym, nearly swallows up Inspector Joshi (Adil Hussain in one of his darkest roles) who spends his nights obsessively searching for his missing daughter (kidnapped ten years ago) in the sordid back alleys of a merciless Mumbai. Synchronously, the rain, iconographic of film noir vernacular, is deployed with a Freudian intensity, crafting a discombobulated ambiance, reminiscent of Claire Denis, in which it is impossible to see where reality begins and delusion ends. As the film progresses, Sen-Gupta bravely relinquishes a cinematic orthodoxy which can suffocate a film, so that a visual schizophrenia becomes a signature, fragmenting time and space, disrupting classical notions of sound and editing, imagining a terrifying nightmare shared between Joshi, his wife and the spectral figure whom he is hunting. While neo noir is a genre with which Sunrise has an aesthetic affinity, it is also an anti-genre film in many respects, contesting expectations, pushing the fragmented gaze of the spectator out beyond the frames. The kidnapping and trafficking of children into prostitution forms the wider social framework but this issue is never politicised and remains connected to the story so that the humanist aspects are intact. Futility, despondency and fatalism are concurrent in Joshi’s futile search, resonating noir idioms, while the oblique ethereal figure that Joshi sees in expressionistic form functions as a metaphor for depravity, a projection of nightmarish recesses inscribed with the angsts of the city. However, it is trauma, grief and loss that defeat Joshi, classic horror tropes, leading to a psychosomatic displacement juxtaposed to a troubling nostalgic introspection. 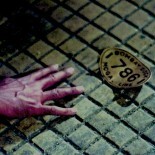 It ends with Joshi in a kind of metaphysical limbo; a slave to his memories. Overall, it’s a dark and unsettling film that confounds expectations and goes into an altogether more unconventional direction which is pleasing to see. I think this is director Partho Sen-Gupta’s second full-length feature. He debuted in 2004 with Hava Aney Dey (Let the Wind Blow) that I have yet to see. Sunrise is deservedly receiving critical acclaim and has appeared at many prestigious film festivals including most recently Tribeca. I hope it gets a UK release and one can foresee Partho Sen-Gupta developing into a very promising director indeed. This entry was posted on April 23, 2015 by Omar Ahmed in Bengali Cinema, Indian CInema, Neo noir, New Indian Cinema, Thriller.